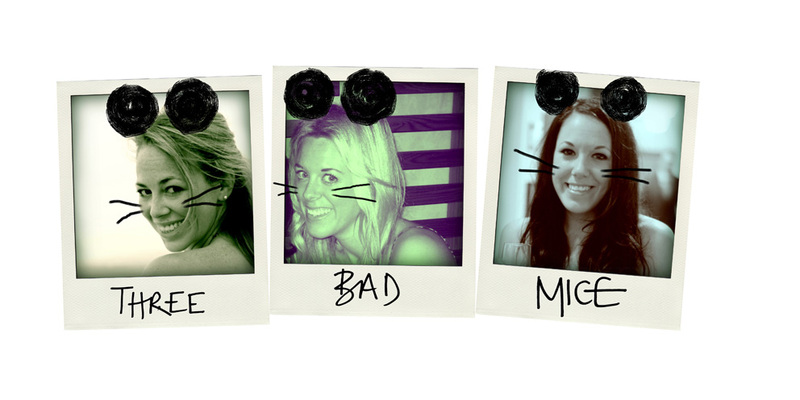 Three Bad Mice: Help the Mice Win a Weekend in Paradise! Help the Mice Win a Weekend in Paradise! Last year the Mice had the most amazing week away in Vejer. We spent three nights at the beautiful Escondrijo, a 3 room hotel that feels more like a home right in the centre of the old town, tucked down a windy little white washed alley surrounded by tapas restaurants and sweet boutiques. We then spent the next four nights at Casa la Siesta, a luxe hideaway out in the rolling Andalucian hills. Casa la Siesta is a little corner of heaven. The perfect place for long, languid, lazy days snoozing in the sun, swimming in the turquoise pool and eating delicious meal after delicious meal. The second that we left we were planning our return. 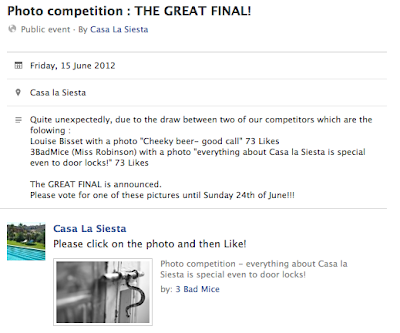 Back in April we spotted a competition that Casa la Siesta were running on their Facebook page - all we had to do was post a photo that we had taken of the hotel and then get the most likes to win a weekend at the hotel. We immediately posted a photo from our heavenly stay and then pretty much forgot all about it until this weekend when the hotel messaged us on Facebook to say that we'd reached the final! The competition closes next Sunday 24th June, until then, our mission is to get as many likes as we can! So little blog buds, we'd love you all forever and ever if you could help send us back to Casa la Siesta by clicking over onto Facebook and liking our photo!